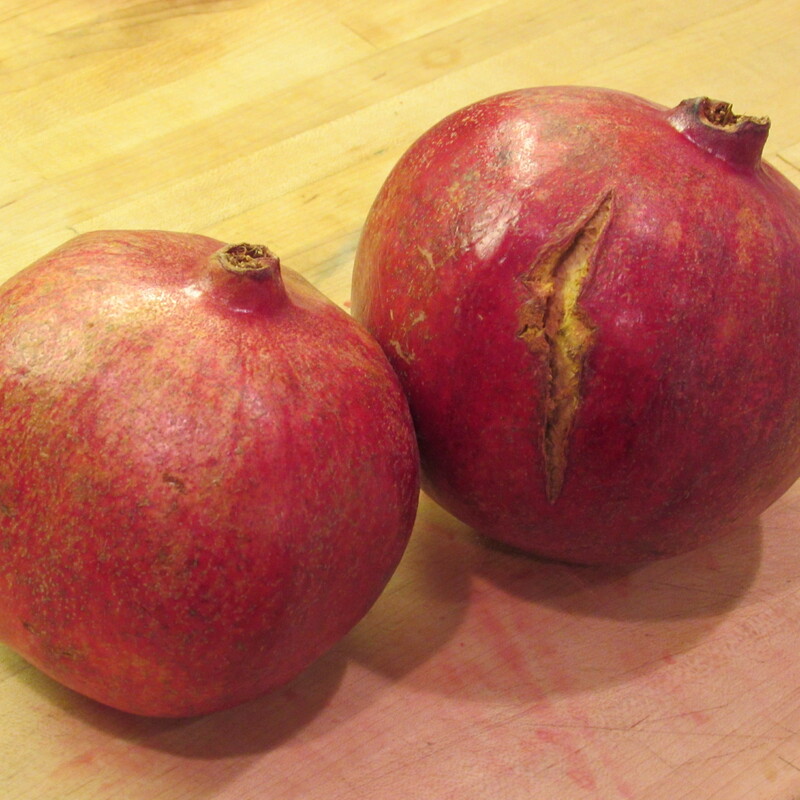 At a recent stop to a local fruit stand, I came across these gorgeous pomegranates for only $5 a bag. I had to jump at the bargain. As a neighbor saw me unloading the bags from my car she said “I love those but it’s too hard to get the seeds out.” The 8-year-old version of me would totally agree but I learned the easiest technique to deseed the crimson beauties – whacking! 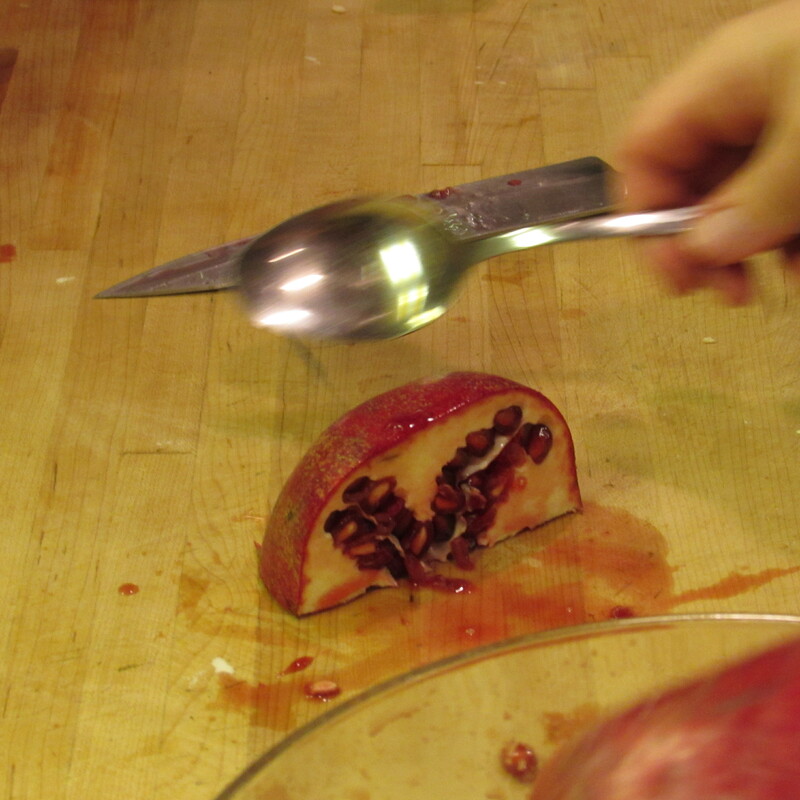 To deseed-simply cut the pomegranate in half or quarters. Over a large bowl, invert the section onto the palm of your hand and whack several times with the back of a large spoon or other utensil. Seeds fall right out. All clean! 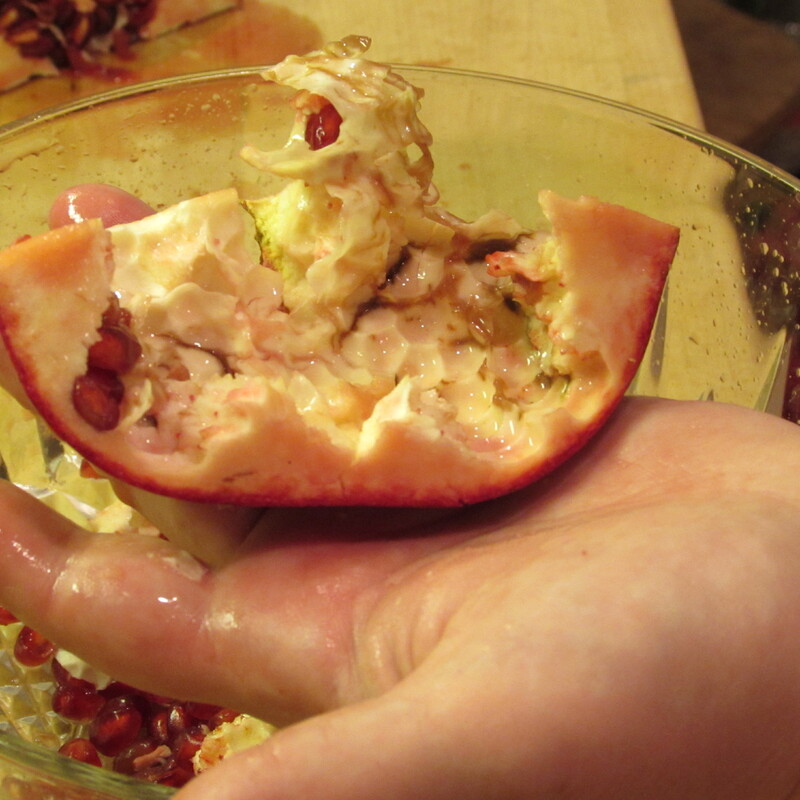 Tags: easy way to peel pomegranates, easy way to remove pomegranate seeds, food, pomegranates, trick to remove pomegranate seeds, with images. Bookmark the permalink. 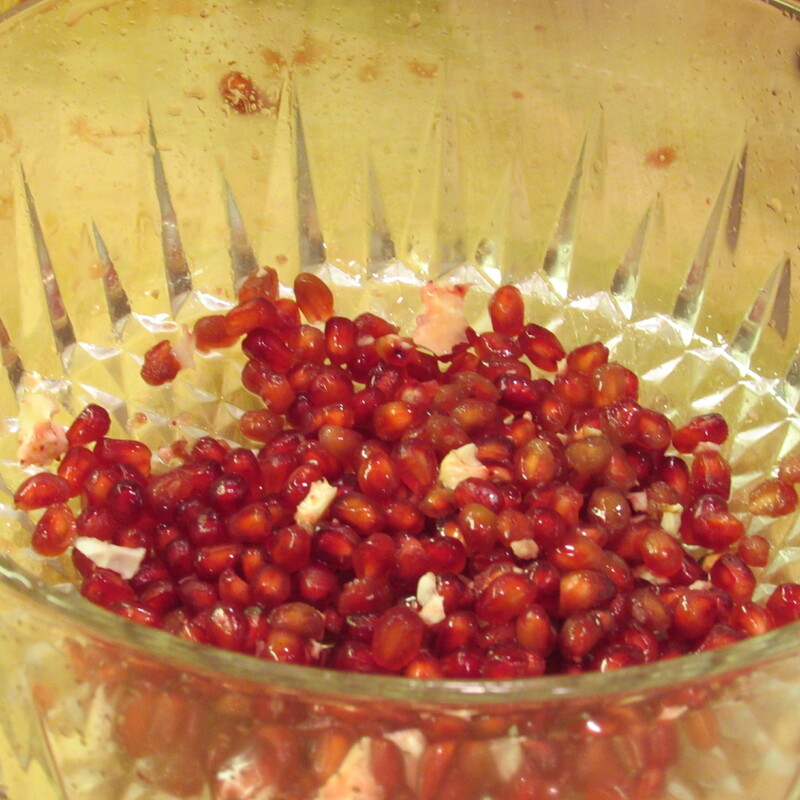 I like making pomegranate juice using me electric citrus juicer. In fact, that’s why I bought it!